He was conscious of the power dynamics of the industry because he had experienced them himself, and was hypervigilant about making sure I felt heard and respected. But not many people in power have that kind of perspective – or the willingness to keep their power in check for the safety and comfort of those working below them. And so often, those people in power are men who have been socialized, as P. Carl goes on to say, to behave this way without a second thought. That is why companies like DTS, which not only focus on inclusivity but actively give marginalized groups a voice, are so important. The arts world not an easy one for anybody, but there are additional hurdles and challenges for underrepresented populations. We look at many art movements as reactions against times of political upheaval and change, and now is no exception. But, as Kyra wrote in the first blog post, those reactionary voices have largely been attributed to men. In a time when the rights of women+ and POC feel under attack, we need these platforms to support and validate experiences. And in a time when the news feels so unreal that Realism falls short of containing it – Surrealism and the avant-garde seem the only way to go. At one point or another, every generation seems to feel as though the world is ending. Mine is no exception. Most often, the feeling has to do with war. Sometimes it is a weakened or crashed economy. On a personal level, it can be heartbreak; injury or illness; the death of a loved one. The inability to imminently provide or achieve dreams. At the close of 2018, things seemed both the most hopeful and hopeless they’ve ever been. Most days I wake up thinking about the rise in overt neo-nazi activity, migrant children starving or sick and separated from their families at the border of my country. Slave labour crafting our clothes, electronics, and holiday decorations half a dozen time zones away. Climate change shrinking our landscapes and biodiversity. What am I supposed to do? How can I live in any sort of joy when there is so much pain, so much hate circulating and encapsulating my species? I believe that we are all privy to these realities — conscious or not. Accepting or unaccepting. How can we not feel them? How are we anything but harrowed? When I think that there is no point to making art in light of these realities, the only conclusion I can come to time and time again is that there is nothing else I must do more. For my own sanity, but also for the sake and sanity of others. For the possibility of an impact that is both inspiring and connective. Art is a tool and it so often begins the discussion. It can bridge the gaps between those who feel lost and those who find strength. It gives us something productive to do in times of boredom and especially in times of strife; it fosters a sense of identity – a value immeasurable in neither dollars nor blood. At the beginning of 2019, I am at odds with a world on the brink of utter disillusionment. I am on parallel with humans who have decided to adapt, to stand up for their fellow person, to disagree with popular opinion. And I am committed twice over to my lifelong journey as a vocalist, pianist, composer, poet, and multi-media collaborator. 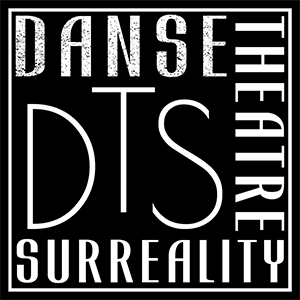 I am thrilled to be Dance Theatre Surreality’s in-house composer and work on 7 Gorges as a music consultant. I am so excited to continue writing, performing, recording, and touring with my bands Matron and Tranche. I remain deeply in love with my homebase/city of New Orleans at a very potent moment when I am also redefining what concepts like ‘home’ and ‘love’ actually mean to me. Places never let me down; they are always reflections of my present moment. In the same way, I retain strong affection for my former home and forever artistic base of New York City as well. So what does it mean to make art in a self-destructing society? It means we must accept that an end comes eventually, but perhaps sooner or even harsher than we thought it would. It means that ‘temporary’ is truer than usual. It means that to feel these truths — a cry, an elation of each others’ brief existences — is more sacred than anything, and perhaps with a new kind of immediacy. To facilitate such experiences is both a gift and a responsibility. So let us give and take position. Here we are, a young dance and theatre company, creating experimental, feminist works. Breaking boundaries, trying to find the limits of expression, looking to make our mark on this generation. Why, then, Surrealism? Why use this philosophy, nearly a century later? Are we yet another example of the everything’s already been done argument in art? I’ve been asking myself the same questions, as I try to better articulate our philosophy as a company. We are referencing an artistic movement that has already lived its life in the public eye. Surrealism is old news. The world of art has moved on to other forms of expression. It seems pertinent to me, however, to further explore the possiblities provided by the Surrealist concept. Surrealism simply means above or beyond reality. So really, Surrealism is by definition limitless. Once you remove the limitations of objective reality (which probably don’t exist in the first place, but our brains tell us that they do), what’s left is infinity. This leaves us with the real challenge, which is picking out the most meaningful bits from an infinite number of possibilities of what to express and how to communicate it. Another important issue to address is that of feminism within the context of Surrealist art. Although there were many female artists that contributed to the Surrealist movement (Leo Carrington is a personal favorite of mine, see the painting above), the big names, those we collectively remember as THE SURREALISTS, are, as per usual, men. In the writings of André Bréton, in the photographs of Man Ray, in the paintings of Joan Miró, Salvador Dalí, and René Magritte, we find an overwhelmingly male perspective. These artists seem to profit from the beauty of the female form without stopping to consider what might be going on inside. I’m not saying that these men didn’t love the women in their lives. In Bréton’s L’Amour Fou, he describes a deeply passionate love for that woman on that day with the sunflowers. Yet, history remembers the male experience of the Surrealist movement. So what I propose is to give Surrealism a new, fresh voice for the 21st century. A female voice. Let’s explore what Surrealism means for women working through the medium of performance art. Beyond reality, beyond limits, because we probably just made all that up anyway.